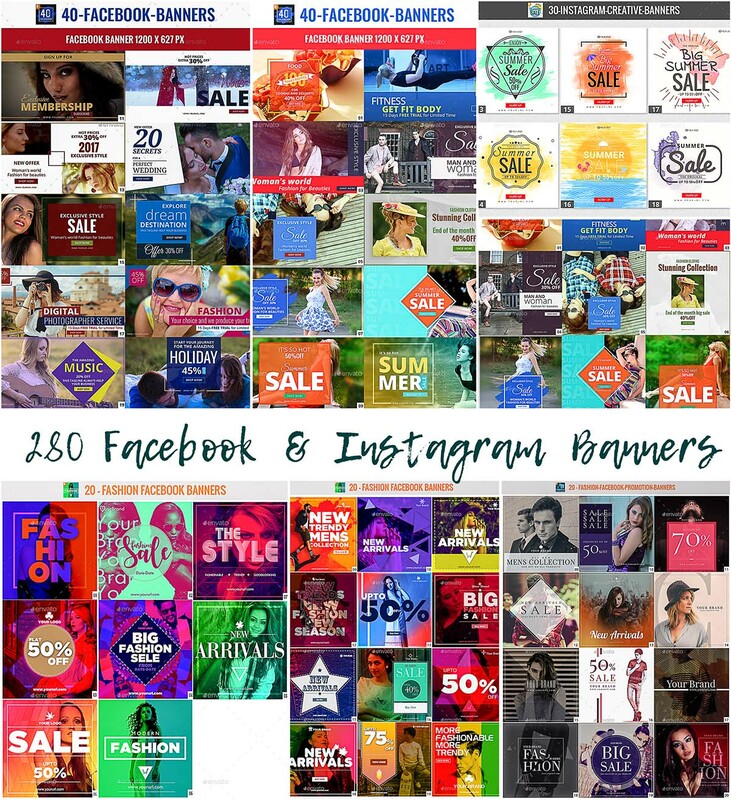 This is a professional set of banner templates to promote on Facebook. 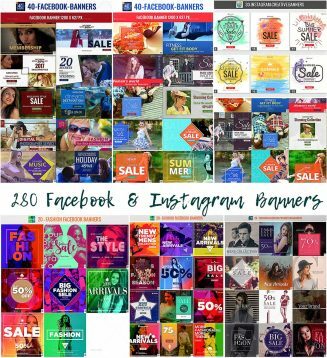 The package includes 280 Photoshop designs with creative and unique layouts. Tags: banner, facebook, flat design, instagram, marketing, newsfeed, promotion, sale, social media, targeting, web banner.